Sydney bus industry identity Benny Rachwal, owner of Marrickville Buslines and Telford’s Tours, passed away on Monday afternoon October 28, 2013, after his long battle with cancer. 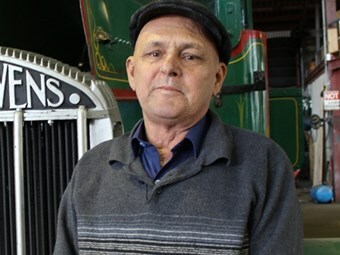 Benny created an enduring legacy in 1978 when, as a former NSW train driver, bought existing bus company Marrickville Bus Lines and combined it with Telford’s Tours charter and travel agency. The business has thrived from revenue based on negotiated private school and finance sector bus contracts, without running Government route services, and to this day is unique in its innovative approach to bus and charter coach operations. Benny Rachwal is survived by his sons Robert and James who continue to operate Telford’s Tours at Turrella in Sydney’s inner south. A funeral service for Benny John Rachwal will be held at the north chapel, Pinegrove Crematorium at 10am, Saturday November 9, 2013, followed by refreshments at the conclusion of the service at Rooty Hill RSL, 55 Sherbrooke Street, Rooty Hill in Sydney. The Rachwal family has requested no flowers, but for donations to be made to the Australian Cancer Research Foundation. Envelopes will be available at the chapel.